Here’s our interview with Christopher Fire, CEO at Lansky Sharpeners. 1. Hello Christopher. How did you start, and why did you get involved in the knife sharpening business? Lansky’s entry into the sharpening world started when Arthur Lansky Levine, a prospective coroner, found himself consistently disappointed by the sharpness of his surgical tools. He started tackling the challenge of making a sharpener that anyone could use to get a razor sharp edge on his or her tools and knives. Arthur developed the famous Controlled-Angle Sharpening System and started Arthur Lansky Levine & Associates out of his parent’s basement in 1979. Using contacts from his outdoor retail experience, Arthur started supplying the new sharpening system to outdoor retailers worldwide. At first it was just getting the word out there. Once people started using the Lansky Controlled-Angle System, word of mouth spread like wildfire and we never looked back. Lansky was the first to develop the legendary controlled-angle system that set the standard format for all controlled angle systems sold today. Hands down, the Lansky kit offers the greatest range of accessories available for a Controlled-Angle system. We also have a dedication to customer service that truly makes us a stand out from the rest. 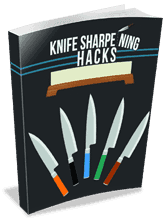 I’d say our biggest goal is to de-mystify sharpening for the beginner. Sharpening is nothing to be apprehensive about, and the Lansky product line has everything to satisfy the beginner through the experienced user. Our Deluxe 5-Stone Sharpening system is the most popular kit we sell. As for pocket sharpeners, the Blademedic® consistently comes out on top. We develop our products to meet a certain standard of quality. If we found that the quality of an existing product could be improved, we would make the necessary changes to do so. Additionally, we continue to develop new and interesting products year after year. Generally, the best way for a beginner to start sharpening is with one of our controlled-angle sharpening systems. The systems have pre-set angles and come with a full set of instructions to help the beginner along. 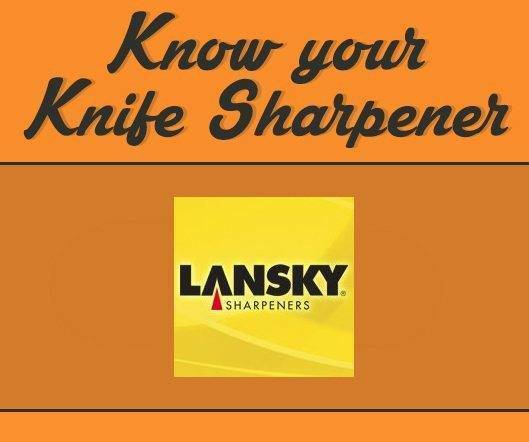 For visual instruction they can also visit lansky.com and watch our How to Sharpen video. When freehand sharpening on a bench stone, it’s very tricky to hold a consistent angle, resulting in an uneven edge. Otherwise I’d say the biggest mistake is: overbearing on the knife’s edge, or using excessive pressure where the abrasive meets the edge. As the cutting edge gets finer, it also will become more vulnerable. Therefore applying too much, or uneven pressure when sharpening can lead to a warp in the blade edge, dull spots, gouges or even chips. Always use moderate and even pressure. Let the abrasive do the work. 9. What equipment would you recommend to a newbie knife sharpener? The Standard 3-Stone System would be a good starting point for beginners. It has enough stones to comfortably introduce a beginner to the sharpening process, but is also affordably priced for an entire kit. 10. Tell us something people might be surprised to learn about your business. Most people would be surprised to learn that the “sharpness” of their blade has less to do with the specific acuity of their edge angle, and more to do with the edge consistency. It’s a misconception we try to dispel. What’s really important, is angle consistency. Believe it or not: the cutting edge of a 17º angle can be just as sharp as the cutting edge of a 25º angle, as long as the edge is finely honed and consistent. In fact, sometimes it’s better to have a less acute angle. We always recommend the user choose their knife angle based on their usage. For example, a 25º angle has a lot of metal behind it’s cutting edge, which makes the edge stay sharp longer, and also makes the edge more sturdy and less prone to warping and chipping. Most of your outdoor knives will be sharpened to 25º for a sharp, and durable multi-use blade. Conversely, a 17º angle will be very thin and acute, and perfect for fillet and slicing knives. These knives do not need to be extremely durable and so the 17º angle is a perfect fit. Choose the right angle for your knife’s intended usage.